Wed, 17:52: RT @JamesMarstersOf: @_su11ivan_ Good job, son! Wed, 17:54: RT @JamesMarstersOf: @_su11ivan_ Chip off the old block! GIVEAWAY!! (Part 1) Win James Marsters Solo Albums "Civilized Man" & "Like a Waterfall"!! So, I came to the realisation recently that I've almost reached 10k Twitter followers (which, what?! ), & decided that I needed to do something to celebrate; So I present to you Part 1* of my 'Big Twitter 10k Giveaway Bonanza'! 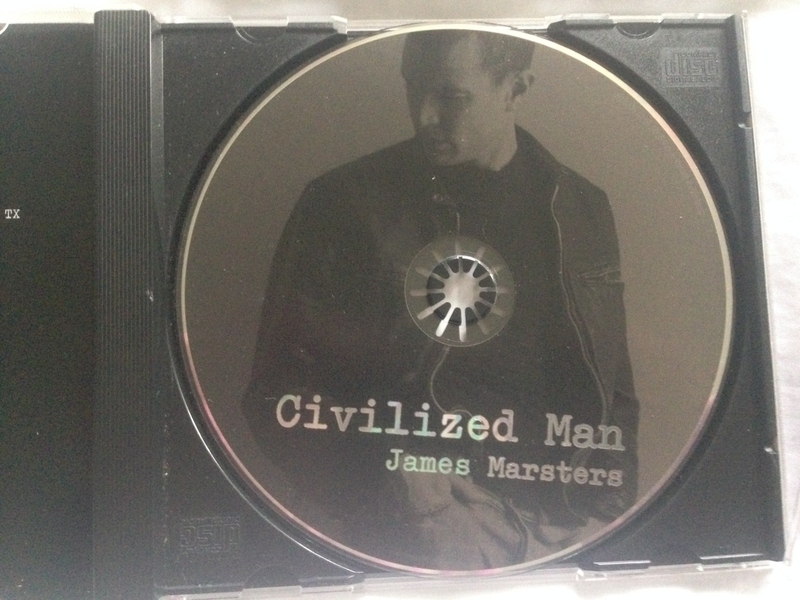 Would you like to win a copy James Marsters solo albums "Civilized Man" (hard to find) & "Like a Waterfall" (impossible to find!)? Of course you would! Simply RT the below tweet & follow me on Twitter to enter! The winner will be chosen at random & announced via my Twitter when I reach 10k followers. If you're not on Twitter & would still like to enter, then comment on this post with your name (or username) & your email address & I'll add you to the running! You don't have to be registered on LiveJournal to comment, there are various OpenID/FB, etc login options, or you can simply comment annonymously (but be sure to include your name & contact details if you do!). I'll screen all comments on this post so that your details will only be seen by me. Also, feel free to share this post with your friends across whatever social media platforms you'd like (see the share buttons below, or the + button at the top of this entry); let's give everyone a chance to win! 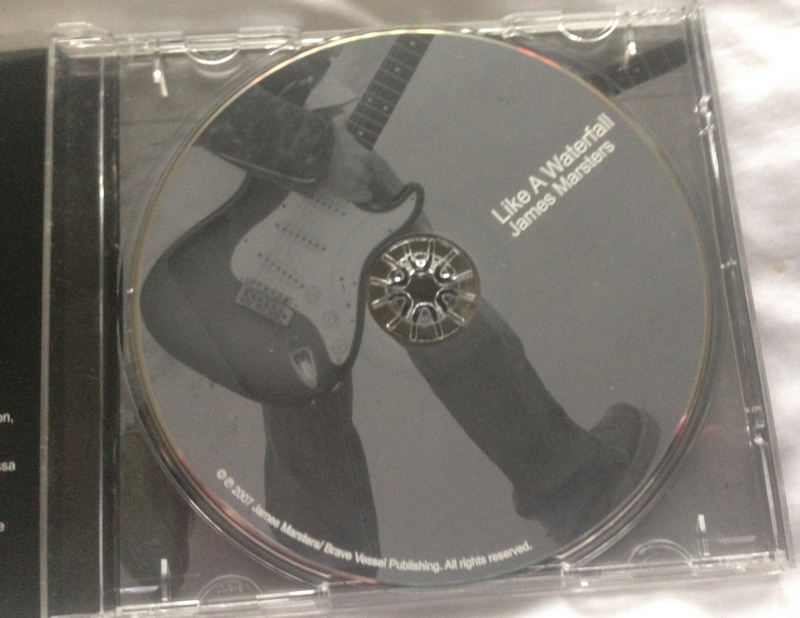 Full disclosure regarding the CDs I'm giving away: They are not new; these are my personal copies that have been sitting in my collection for many years, so there's slight scratching on the covers, but the discs themselves are in perfect condition (and as I mentioned above, extremely hard to come by!)! *Stay tuned for Part 2, coming after I've reached the Big 10k! We chat about Buffy, Star Wars, Marvel, music, and more! I was recently lucky enough to have a quick conversation with James Marsters at Wizard World Comic Con! James famously portrayed Spike on Buffy The Vampire Slayer back in the day. Now he's on Marvel's Runaways and apparently he's been making music this whole time! Check out his band Ghost of the Robot when you get a chance. I apologize in advance for how loud I am in this interview, the volume of my voice seems to go up to 11 when I'm excited. Transcribed from James' interview featured on the Torchwood: The Death of Captain Jack audio story. I remember I was in London touring, with my band, Ghost of the Robot, and we couldn't get the tour manager to come out to dinner, Lisa Powers. She said that she wouldn't leave her hotel room because Doctor Who was on, and it was the second season premiere and she wouldn't miss it for anything. So she said, 'If you want to have dinner with me, we can have room service in my room,' and so we did, and we watched Doctor Who, and within 15 minutes, I was in love, and I called my manager and asked him to ask Russell [T. Davies] if I could come on the show. Russell said 'No. He can't come on Doctor Who, but we do have a spin-off and there's a character we've been trying to cast and I think that he would be right for it.' And they sent me the script, and I was just, 'Holy God, this is amazing,' and just fell in love with it immediately. I'm used to being the person on set with an annoying amount of energy. When everyone else is tired, I'm like 'Hey guys! Isn't this fun?! Come on!' and I remember John [Barrowman] just buried me, and he was just a tornado of energy [laughs] and I thought 'Oh my God, I can't keep up with this man.' And everyone, man, what a great cast and what a great group of people; just having fun, with the scripts. And when everyone is willing to have fun, it's a lot easier to have fun myself. Oh, I missed Cardiff. I missed the rain. Yeah, in England you have this wonderful stuff that falls from the sky, for free, this water that comes down, and we just don't have that in Los Angeles, or in California much at all. And there's musicians in Cardiff. But, this is a lot easier, you know, we get to sit down. I remember when Russell, we had dinner together when I came to Cardiff first, and he said that, that 'Torchwood is my Buffy,' and I didn't know quite what he meant by that, at first, but I think what he meant was, that Torchwood is a subversive show, just like Buffy was. Buffy was subverting the lie that women can't hit, that they can't fight back or defend themselves, and I think that Torchwood was subverting the lie that an LGTB person can't be a hero. And I think that we offended all the right people with Torchwood. So happy about that. I remember I was doing a BBC interview, while we were filming, and it was raining and we were in the SUV and the guy from the BBC said, [British accent] 'So what you think about the homophobic backlash against Torchwood?' and he pushed the microphone in my face, and I said, 'We have a backlash? We have a back- We have a backlash! Yay!' And I was over the moon. So I've loved Torchwood from the very beginning." Big Finish has revealed James Marsters is to reprise his Torchwood role in a future audio. ‘The Death of Captain Jack’ will feature James Marsters as Captain John Hart alongside John Barrowman as Jack. We don’t have an official synopsis yet so we can only speculate wildly infer from the trailer. Sounds like John has managed to usurp Jack’s life and is married to Queen Victoria. At least, that’s how we interpreted it. In the most recent edition of the Big Finish podcast [Jamie's note: This podcast has the trailer featuring James], Nick Briggs and Benji Clifford unveiled the trailer for the upcoming Torchwood story. It’s not yet clear if this will be an episode of the monthly range, due to resume in March, or a special release. But we’re fairly sure that it won’t be part of the ongoing ‘Aliens Among Us‘ saga. Nor do we know the exact release date just yet. 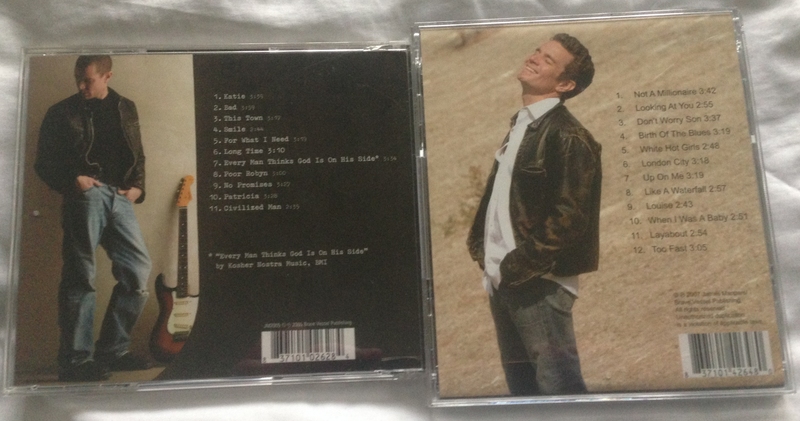 James Marsters - The Official Page was live. Ghost of the Robot with James Marsters at Wizard World #Sacramento! We know him as Buffy the Vampire Slayer's Spike, the leather coat-wearing badass, but now James Marsters is trading his fangs for a mic and a book. The 54-year-old actor narrates Cassandra Clare's newest audiobook, Lord of Shadows -- the latest addition to the Shadowhunters canon -- joining a long list of Clare's all-star narrators, including Outlander's Sam Heughan, The 100's Devon Bostick and How to Get Away With Murder's Jack Falahee. In the exclusive clip above, Marsters gets candid about why he thinks the fantasy genre is important and the real message behind the iconic '90s TV series. "One of the things I really like about fantasy is that in fantasy, we can talk more directly about social issues," the Angel star says. "One of the great things about Buffy was that we weren't just talking about vampires," he notes. "The real thing that we were talking about is woman can defend themselves." Marsters also discusses the challenges of performing in front of the camera versus voice acting for an audiobook, which reminded him of his stage acting days. "The thing about stage is...you're trying to convey the inner workings of the mind to an audience that is half a football field away," he says, adding that the theater trains you to hang words in the air with just the right rhythm and color. "When you’re doing an audiobook, that's exactly what you're doing." Lord of Shadows is out now!